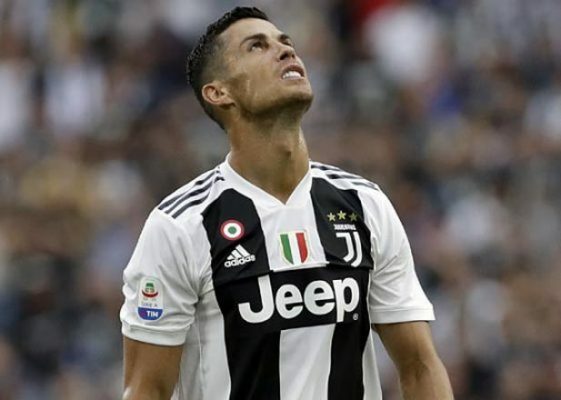 Turin, Italy: Cristiano Ronaldo scored his first Champions League goal for Juventus but a stunning Manchester United comeback snatched a 2-1 win for the Premier League side to delay the Italians’ passage to the last 16 on Wednesday. Delighted United manager Jose Mourinho walked out onto the pitch at the Allianz Stadium cupping his ears and winking towards the crowd after a win that gave his side seven points from four games — two points behind leaders Juventus with two games to play in Group H.
But the hosts sprung into action on the half hour with a low Cuadrado cross taking a deflection off Matic’s knee before David De Gea reacted superbly to keep the ball out.Ronaldo then served up Khedira but the German’s low shot rattled the base of the post after 35 minutes. Juve were then left in shock as Ashley Young’s free-kick in from the left bounced in off a combination of Bonucci and Sandro after a frantic scramble in front of goal, condemning them to their first defeat this season.